Out of all the songs off of Azealia Banks‘ mix tape Fantasea, I didn’t really expect “ATLANTIS” to be the next single to be released (I would have guessed either “FIERCE,” “CHIPS,” or maybe “US”) but that’s okay because the music video is amazing. It’s like some sort of cross between The Little Mermaid and Reboot, although personally I just love anything that involves sharks. 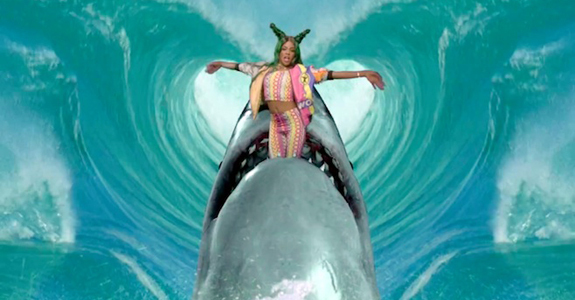 Every music video can be made better with the inclusion of sharks.